Javadekar hoped that all parties will cooperate with our programmes which are in national interest. A decision on the issue of granting the leader of the opposition status to Congress is expected to be taken before June 4 when the first session of the new Lok Sabha will commence. 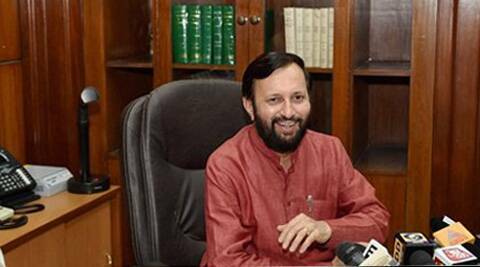 Minister of State for Parliamentary Affairs Prakash Javadekar on Friday said the government has already clarified that it is studying provisions. “Before June 4 the issue will be sorted out,” he told reporters after taking charge in Parliament House. Javadekar has been asked to look after the Upper House by Parliamentary Affairs Minister M Venkaiah Naidu. “We want to take everyone along,” was his refrain to queries whether it would be difficult to get the legislative agenda passed in the Rajya Sabha where the NDA does not have a majority and Congress chief Sonia Gandhi has given indications that it will fight its battles there. Javadekar hoped that all parties will cooperate “with our programmes which are in national interest”. There will be smooth running of Parliament because the country wants progress, he said. While there is no problem for Congress in getting the post of Leader of the Opposition in Rajya Sabha as it has the requisite numbers, its ability to get the same in Lok Sabha has come under scrutiny as the party has got only 44 seats, much less than 55 required. However, party leaders have been maintaining that while there are some statutory requirements to get the perks of the Leader of the Opposition, there is “absolutely no legal bar” on the Speaker to name a leader of the single largest party or group as Leader of the Opposition for functional purposes.